LNP Leader Tim Nicholls has come forward with a commitment to fast-track the proposed Brisbane Live arena project led should he emerge victorious next election. In a move they describe as making Brisbane a more attractive investment and tourist location, an LNP Government will grant AEG Ogden and their partners an exclusive mandate to develop the project. According to The Sunday Mail, tenders would also be invited for a new university campus and the LNP had already received expressions of interest from Australian institutions. 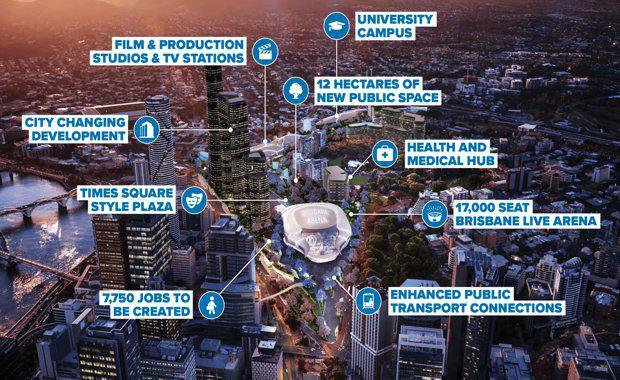 The LNP’s vision for the project included a new university campus, a 17,000 seat arena, film and production studios, a world-class public square, a new commercial and residential precinct, 12 hectares of new public space, a health hub and new pedestrian access to other entertainment spaces in Brisbane City. A purpose-built entertainment and education hub located in the CBD would potentially complement the Queens Wharf Development, together with the cultural and arts precinct at South Bank and Suncorp Stadium. Mr Nicholls believes the updated plans for the project, now dubbed the Brisbane Entertainment and Education Precinct (B.E.E.P), would deliver integrated links between these important spaces to create a truly modern and strategically linked city. 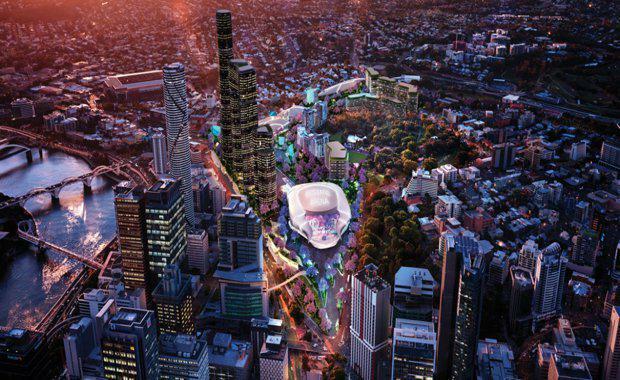 Project Focus: ‘Brisbane Live’ – Brisbane’s New $2 Billion Precinct]The LNP said they will make B.E.E.P a Priority Development Area, and estimated the $2.5 billion project could deliver up to 7,750 jobs during construction. B.E.E.P would be expected to provide long-term ongoing benefits for students, entertainers, catering businesses, film and production industries, construction firms, visitors to Brisbane and the thousands of other businesses that will service the new precinct for decades to come. The LNP said they would work to deliver the Brisbane Entertainment and Education Precinct through their Market-Led Proposals policy. The Sunday Mail said detailed plans already submitted to the Palaszczuk Government by Mr Harvey Lister’s international venue management company, AEG Ogden, for its Brisbane Live concept – featuring a 17,000-seat indoor entertainment and sports arena, a 4000-capacity rock club, cinemas, restaurants, bars, shops, a public plaza, hotels and apartment buildings – would be fully incorporated.